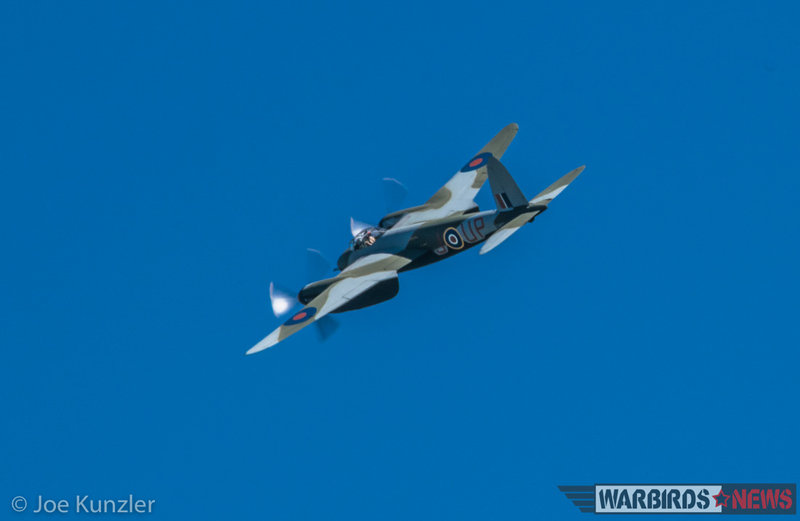 HomeWarbirds NewsCollectionsFlying Heritage Red Letter Day – Mosquito Flies and Corsair Arrives! 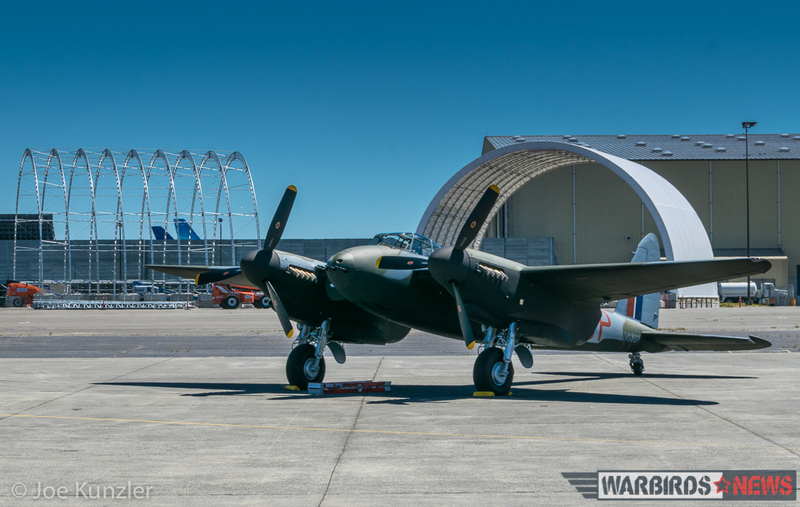 Friday, June 23rd was a special day at the Flying Heritage & Combat Armor Museum in Everett, Washington. Not only did they fly their deHavilland Mosquito T Mk III for the first time over American soil, but it also saw the arrival of their freshly restored FG-1D Corsair. 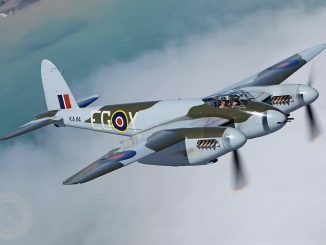 Mosquito TV959 arrived at the museum back in December, fresh off the boat from her Ardmore, New Zealand based restorers, AvSpecs Ltd. During her test flights in New Zealand, the Mosquito flew in silver dope primer and temporarily marked as a Royal New Zealand Air Force example, NZ2337. However, during the reassembly process in the USA, museum technicians repainted her as an RAF FB.IV night intruder variant, NS838. She now has a full suite of 20mm cannon and .303 machine guns. 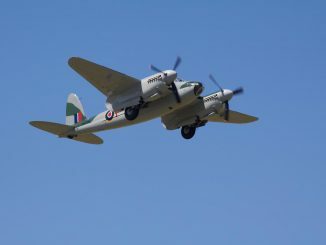 The real NS838 served in 605 ‘County of Warwick’ Squadron. 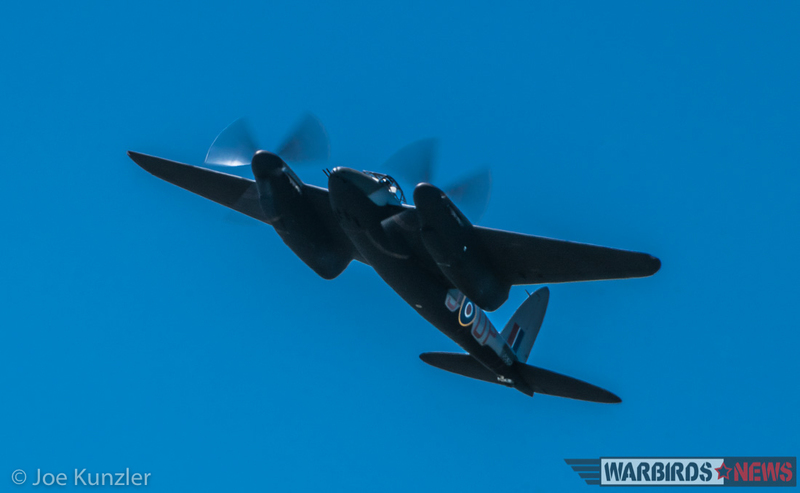 During the period that Flt Lt Alan Wagner flew NS838, she gained the nickname ‘Wags War Wagon’, and he officially became an ace in the aircraft during the night of March 5/6, 1944. 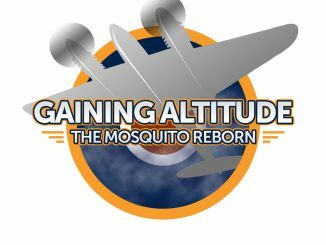 Following TV959’s first post-reassembly flight, there are now three airworthy deHavilland Mosquitos in North America, with the other two being Jerry Yagen’s Mosquito FB.26 KA114 in Pungo, Virginia, and Bob Jens B.35 VR796 in Victoria, British Columbia. 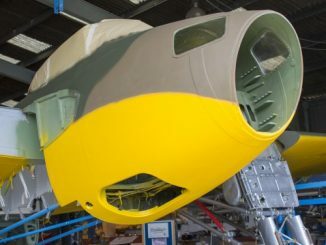 After so many years without any flying examples of de Havilland’s most famous aircraft, it is gratifying to all warbird enthusiasts to see such a renaissance of the type, with at least two more slated to join their ranks in the coming years. TV959’s first official appearance will be at the museum’s SkyFair event on July 22nd. 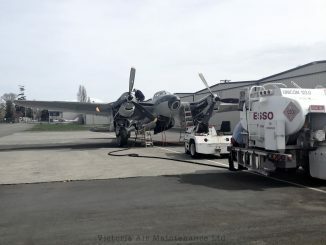 Shortly before TV959’s flight, the museum’s FG-1D Corsair Bu.88303 arrived following an extensive and highly detailed restoration at Ezell Aviation in Breckenridge, Texas. Bu.88303 rolled off the production line in Akron, Ohio in April, 1945, and is perhaps the only surviving Goodyear-built Corsair to have seen action during WWII. She flew combat missions from Zamboanga in the Philippines with VMF-115 during the last weeks of the Pacific Campaign. 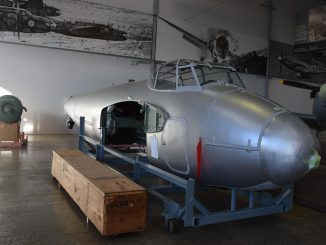 The museum has owned this aircraft for the best part of 20 years, but the project has been on the back burner until very recently. 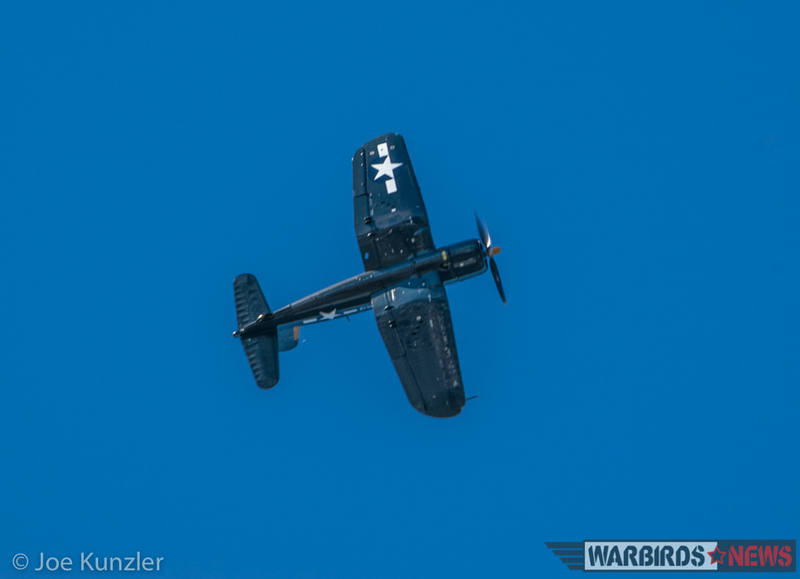 Ezell Aviation, known for their expertise on all-things-Corsair, has returned her to her former glory. She looks very much like she would have done shortly after joining VMF-115. 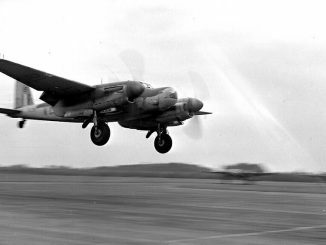 Her first post-restoration flight took place just a few days prior to her cross-country trip to Everett. Mike DeMarino flew her in to Paine Field. 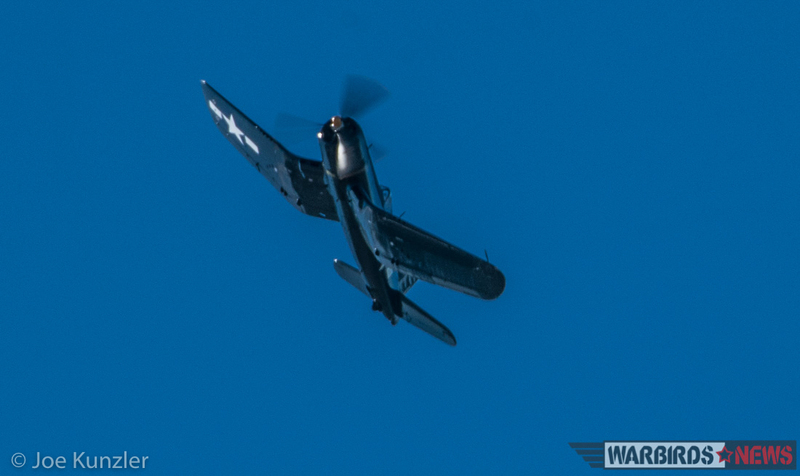 The Corsair arrived just in time to make her first public performance, which took place during the Pacific Theatre Day show on Saturday, June 24th! The event was a great success, made all the more special by the recent arrival. 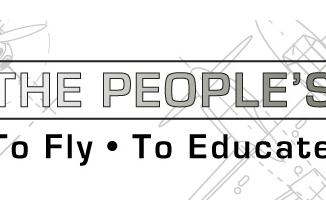 Here is to many more years of safe and successful flying for FHCAM’s latest arrivals. Many congratulations to all concerned! 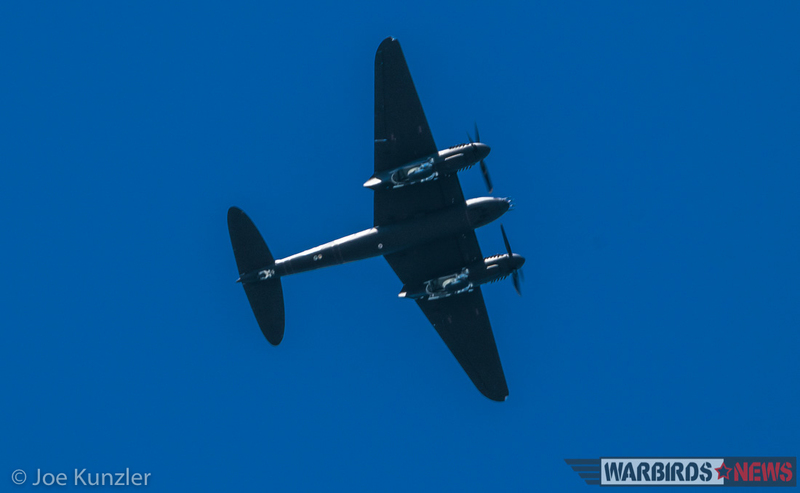 ‘WarbirdsNews would like to thank Cory Graff for taking the time to help with this article, and of course to Joe Kunzler for being on the scene for us to capture these lovely images. 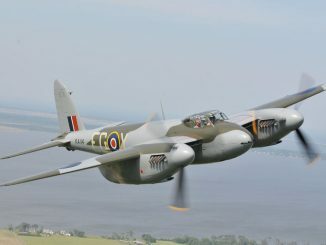 Many thanks also to Ryan Sundheimer of AirshowStuff.com and Randy Malmstrom for the videos of the Mosquito. 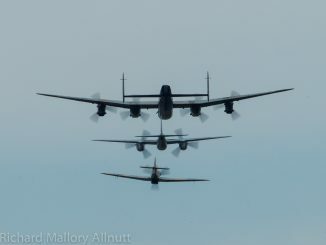 What a great show this rare and historic flying legend did over in the sky to the thrills of many who look back into history of this nasty airplane here. 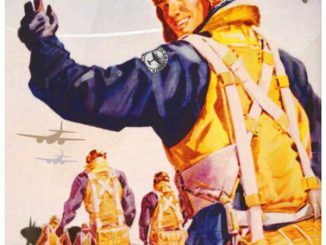 Restoring rare aircraft takes many long hours to complete but when it is done then all of your efforts from all of this shall not be ever forgotten and as a American I salute your hard working dedication to preserve and fly all of these aircraft both today and beyond tomorrow. BLOOD DAM GOOD JOB MEN and lets keep them all flying for the motherland always.